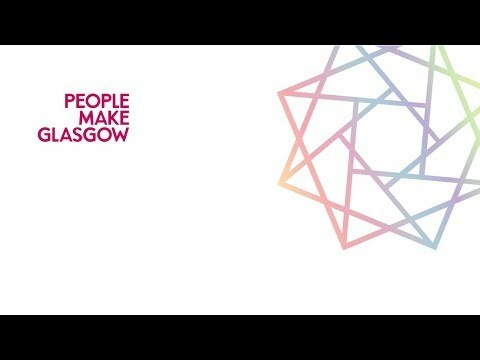 Glasgow has a volunteering strategy that was adopted by the Community Planning Partnership (CPP) on 26th February 2010. It was developed on the basis of primary and secondary research, scoping work and consultation events conducted in 2009. It is also the basis of the Glasgow 2014 Legacy Framework – Inclusive Glasgow/Volunteering action plan. 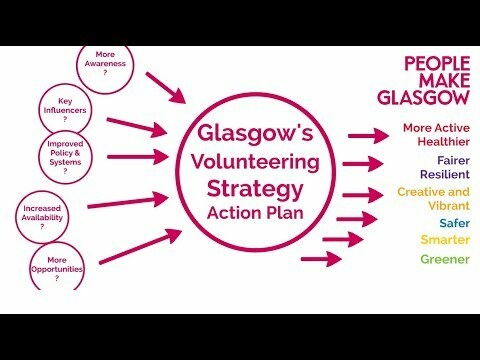 What should be in Glasgow’s Volunteering Strategy? People make Glasgow in different ways. One way is when we volunteer our time, skills and energy to make things better in our communities. You might be surprised by just how important volunteering is to the city. Click on the two images below to view our 2 short films about volunteering in Glasgow. Since 2010, Glasgow has aimed to increase and improve volunteering, and in 2013 the Poverty Leadership Panel set out to make volunteering more accessible for people living with issues of poverty. Many partner organisations have achieved a great deal towards these goals but we have little direct control over some of the things that influence volunteering. Download the April 2016 SVF papers, including action plans and reports that were presented to the city’s Community Planning Partnership. Download a summary of the SVF – it tells you why volunteering is important to Glasgow, what we want to achieve between 2015 and 2018, and the values and principles that should guide the city’s work. The records of the 2009 scoping/consultation events co-facilitated by the Volunteer Centre on behalf of the SVF Steering Group are listed below as pdf files for download. Many individuals, clubs, groups and organisations participated in facilitated discussion to help prioritise issues for the SVF Implementation Plan. Inevitably, many groups/organisations couldn’t attend: if you have issues you would like to contribute please email us – you may have issues that can be addressed quickly and/or that can be fed into local and/or city wide planning processes.